Though some governments have used the Vote on Account to make big ticket announcements, it has not always worked for the ruling party in retaining power. 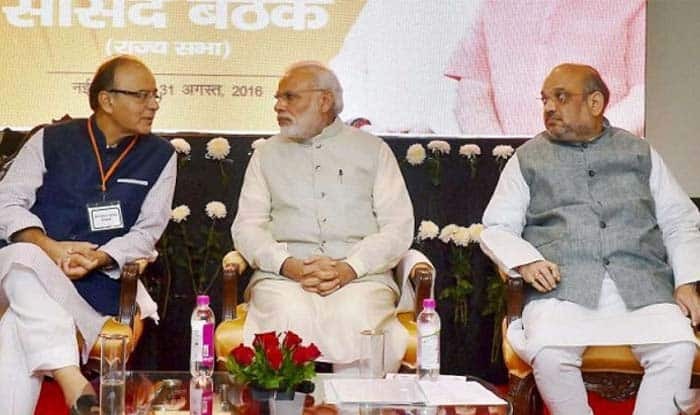 New Delhi: The BJP government could break away from tradition this year and present a full-fledged Budget, Zee News quoted government sources claiming on Wednesday. Deviating from the tradition of presenting an Interim Budget ahead of general elections, which is only for three months before the new government presents a full-budget in July, the reported move is seen as a way to re-emphasise that the NDA will be back in power. An interim budget is followed by a full-fledged budget by the new government. The last interim budget was presented on February 17, 2014, by the then finance minister P Chidambaram. It was followed by a full-year budget on July 10, 2014. In recent times, the Finance Ministry has also termed the February 1 announcement in its tweets as ‘Union Budget’ and ‘Budget 2019’ rather than the more acceptable ‘Vote-on-Account’. Traditionally, outgoing governments ought to vote on account since they should not burden the incoming government with policy announcements that may not be acceptable to the new government. Though some governments have used the Vote on Account to make big-ticket announcements, it has not always worked for the ruling party in retaining power. With the Lok Sabha polls just a few months away, the government is likely to make some big announcements like increasing the tax exemption limit from the Rs 2.5 lakh to Rs 5 lakh. Also, the government is expected to make an announcement on implementation of Universal Basic Income (UBI) scheme. The programme is likely to ensure an amount which would cover the monthly basic needs of an individual. While the BJP is not in favour of any loan waiver, it is likely to announce some major sops to appease the farming sector, which has been upset with the government over not getting the right price for their farm produce. With such big announcements in offing, it is likely that the government may go for a full-fledged budget this year. The move will have a major implication on the upcoming elections. The main opposition, Congress, has cautioned the government against deviating from the norm of a Vote on Account sticking only to provisions for the next three months. BJP leaders maintain previous Congress governments have themselves breached this convention and have no right to preach them.